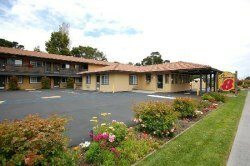 Monterey accommodations range from luxurious four-star hotels to very affordable hostels. You will also find some great bed and breakfast options as well as short-term apartment and house rentals. 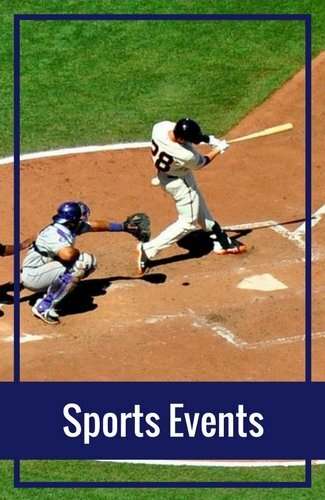 Read on for my reviews of 14 great options for all budgets. The Spindrift Inn is my top pick of Monterey accommodations. This cute 45-room hotel offers complimentary breakfast and Wifi in a comfortable place to stay, right in the heart of the action. Pros: Magnificent location if you are spending your time sightseeing in Monterey. It's near the waterfront with the back rooms facing the Monterey Bay. It's in the Cannery Row District and just a few blocks from Old Fisherman's Wharf. The location for tourists can't be beat! Cons: Since it is in the heart of the action, it can get loud outside at times. Also, since there are only 45 rooms and it's well priced, it can be difficult to get a reservation. The Monterey Plaza Hotel & Spa is another guest favorite. This gorgeous hotel is so close to the water that the waves wash in under the backside of the hotel. It's a fun thing to watch from the waterfront rooms. Pros: In this 4-star hotel, you will find incredible customer service. The waterfront rooms in the back are amazing. 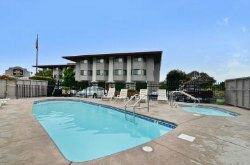 The location puts you within walking distance of the Monterey Bay Aquarium and all the shops and restaurants along Cannery Row. On site, there is a great restaurant and spa. Cons: There are two sides to the hotel that connect via bridge over Cannery Row. Although you'll find less expensive rooms on the non-water side of the hotel, it is a little bit of a hike back to reception, and these rooms have views of cars, parking lots, and other buildings around Cannery Row. The gym is small and a little out of date (so I recommend checking out the waterfront trail right outside instead!). 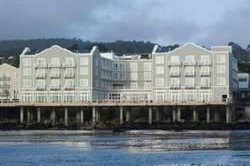 The Inter Continental Hotel is another one of the luxurious Monterey accommodations with several rooms right on the waterfront. In addition, many rooms feature a fireplace and/or a balcony over the water. Make sure you stop by their waterfront patio with two fire pits where you can grab a drink with friends or just hang out and enjoy the views. Pros: The location is incredible and is next door to the Monterey Bay Aquarium. It's also right on Cannery Row, close to dozens of shops, restaurants, and places to taste the local wines. This hotel is fairly new, so the rooms are modern, comfy, and the perfect place to call home for a few days or weeks. On site, you can enjoy the pool, hot tub, fitness center, and restaurant. 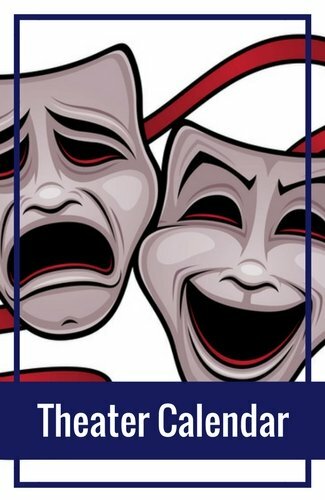 Cons: Avoid the rooms that look out over Bubba Gumps and the valet parking lot since they can get noisy (especially the garbage trucks that stop by early on certain mornings). This hotel is also large, so it's split into a few different buildings. If you get a room across the street from the main hotel, it will take some time to get back to the lobby and to enjoy the other hotel amenities. 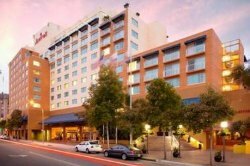 The Portola Hotel and Spa is between downtown Monterey and Old Fisherman's Wharf. This makes it the ideal location for both business travelers and vacationers. They have several rooms with a sea view, which is well worth the extra cost! They also have a restaurant and fitness center on site, as well as a pool and hot tub to lounge around. Pros: This is the best alternative to staying in Cannery Row. It's centrally located, meaning you can visit the attractions at Cannery Row as well as downtown Monterey. It's right on the plaza, so you can walk to restaurants, shops, and other nightlife options. Cons: The rooms over the promenade/plaza or the street can get noisy with your windows open. Ask for a room away from these areas. Rooms over the terrace or courtyard are quieter. The Monterey Marriott in downtown Monterey is another high-end guest favorite. 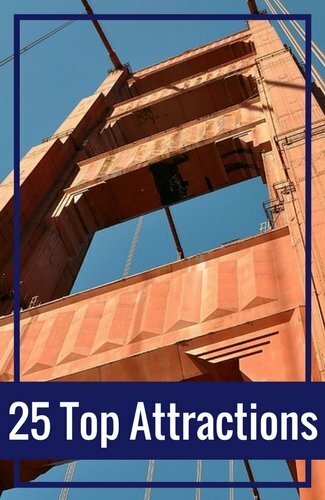 This hotel sits just a few blocks from the famed Old Fisherman's Wharf area. It's also only a mile from Cannery Row and the Monterey Bay Aquarium. Pros: Everything is within walking distance from this hotel, including several yummy restaurants, cute shops, and the waterfront. The breakfast here is also amazing. There is a Starbucks in the lobby, making it easy to grab your morning joe. The hotel also offers a fitness center, a pool, free Wifi, and a restaurant on site. Cons: Some of the rooms at this Marriott are more dated than the typical Marriott. Avoid the lower level rooms right on the street, as they can get noisy. Find the best deal, compare prices, and read what other travelers have to say about these and other Monterey accommodations on TripAdvisor. As you can see from the list above, Monterey accommodations can be very pricey. You can save some money by visiting during the low season, which consists of non-holiday weeks from November to March. You can also find a hotel that has fewer amenities or is a little farther from the town center to bring down the price. Here are the top five budget friendly hotels that allow you to visit Monterey without breaking your budget. The Best Western De Anza Inn is a 2.5-star hotel and a great option for the budget traveler. It's clean and affordable, and the customer service is top notch. 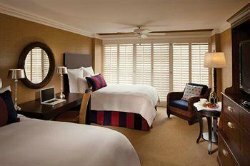 Pros: Many of the rooms were recently remodeled and offer a modern, spacious feel for a 2.5-star hotel. It's one of the cheaper options in the expensive Monterey hotel industry, and breakfast is included. 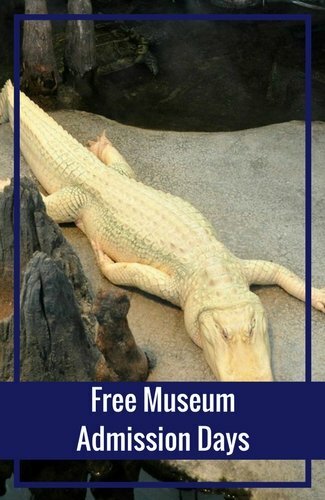 They also offer free parking and free Wifi. Cons: Avoid the rooms in the front at ground level due to noise from the street. You will have to drive to get to most of the Monterey attractions since these are a few miles away. While there are a few restaurants nearby, you will most likely want to drive to another neighborhood for some of Monterey's most recommended places to eat. The Monterey accommodations at the Super 8 are simple, but comfortable. It's hard to beat this hotel for the price. It's perfect for the budget traveler who doesn't mind driving or taking public transit to get to the heart of the action. Pros: This hotel is close to Hwy 1. Nearby you will also find a large mall with shopping and a few restaurants. Breakfast, parking, and Wifi are included in the price, and a pool is available for a little relaxation. For the price, it's hard to beat. Cons: This hotel is further from the main attractions. You will need to drive or take public transit to get there. You will find mostly chain restaurants in the area, and will need to drive to find any locally owned Monterey gems. This small, clean hotel has 25 large rooms. It's in a quiet area, allowing you to get plenty of sleep. It's about a mile outside of downtown, so driving is your best bet to get here or to the other Monterey attractions. Pros: The Stage Coach Lodge is perfect if you are looking for a clean, large room in a quiet part of town. 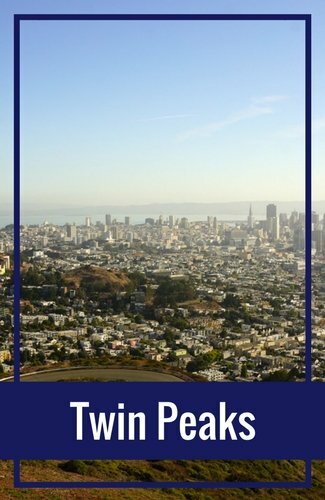 If you don't mind driving, walking, or taking public transit to the nearby attractions, then this is a great find. Parking is free and it's near Hwy 1. Enjoy the pool, free Wifi, and continental breakfast. Cons: There are no restaurants or shops nearby. You will need to walk at least 15 to 20 minutes to find them. If you like to keep your windows open, you might hear some noise from Hwy 1. 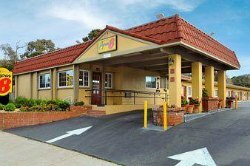 Formerly La Quinta Inn, this Hampton hotel has been completely refurbished in the last couple of years and is another one of the top budget friendly Monterey accommodations. You'll find it near Hwy 1, close to the waterfront, and about 2.5 miles from the downtown area and Old Fisherman's Wharf. Pros: The rooms are larger than expected for the price and very clean. The hotel staff is friendly and accommodating. The waterfront hiking/walking path is right outside. Their breakfast is also a hit, and parking and Wifi are free! Cons: Unless you love to walk long distances, it's a little too far from Cannery Row or downtown Monterey to walk. You will find a couple of restaurants within walking distance, but most will require you to drive. This budget friendly Super 8 motel offers you the standard 2-star experience. It's clean, the rooms are a good size for the price, and the staff is friendly. 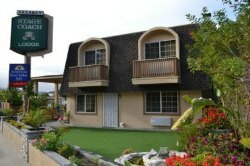 It's near Hwy 1 and close to several other budget hotels and motels. Pros: This hotel is a great value for your money. The room prices include breakfast and Wifi. It's also right next to the mall, where you can easily grab a quick bite to eat. Cons: This is an older motel, so you will see some wear and tear in the rooms. It's about 2 miles from downtown and 2.5 to Old Fisherman's Wharf, so you will most likely need to drive to get to the top Monterey attractions. Find the best deal, compare prices, and read what other travelers have to say about these budget friendly Monterey hotels on TripAdvisor. 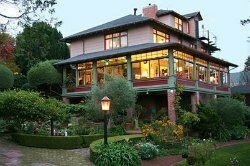 Enhance your experience in the cute town of Monterey by staying at a bed and breakfast. Many are in local neighborhoods, yet still close enough to the tourist action. Here are just a few of my favorites. 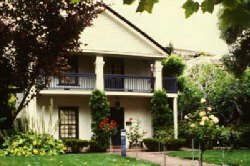 This popular bed and breakfast in Monterey offers you a home away from home. Located just a few blocks from downtown, you will be close enough to the action, yet in a quiet serene environment. Every morning, you'll enjoy a full, gourmet, home-cooked breakfast and in the evenings, you'll love the sunset wine and hors d'oeuvers. All rooms include a private bath as well as other luxurious amenities. Pros: You will LOVE this place. The hosts are friendly and accommodating. 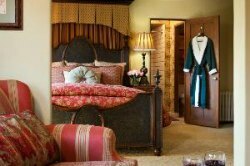 With their comfy beds, fireplaces, and spa tubs, you will also get the peace and quiet you deserve during your vacation. If you can, splurge for the cottage; it will be an experience you will always remember. Cons: The biggest con of this place is availability. There are only 10 rooms, so it can be tough to grab one. The nearest restaurants, cafes, and bars are also about a half mile away. The Jabberwock Inn offers both a comfortable place to stay and an amazing location. 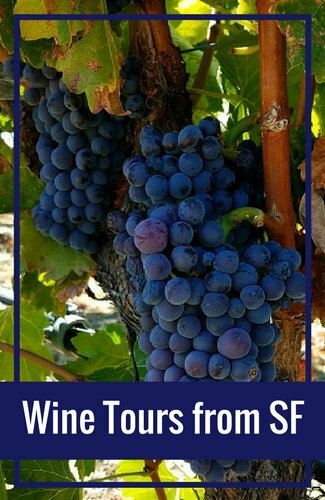 It is just a few blocks from the famed Cannery Row, where you can shop, eat, and sip wines all day. 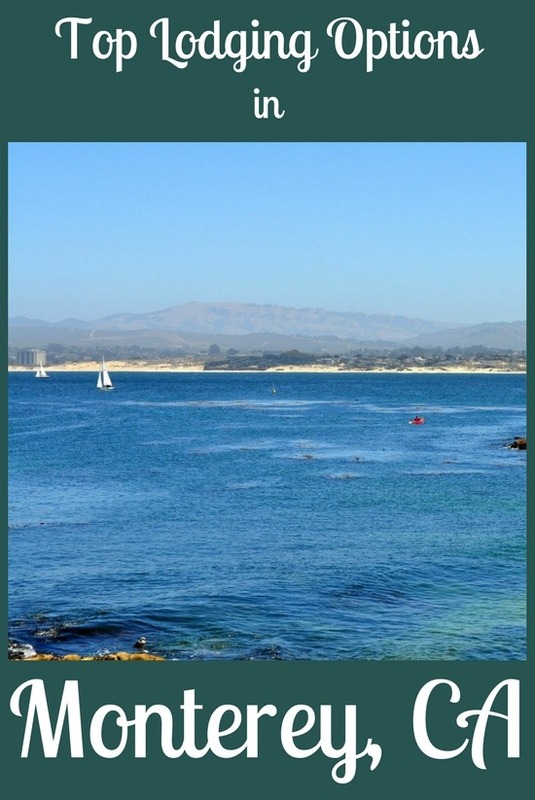 It's also only about a half mile from the waterfront, so you can easily enjoy all the activities Monterey Bay has to offer. Pros: The location here is unbeatable. It's in a quiet neighborhood, yet close to the action. The attentiveness of the owners is unbeatable. They serve up a warm breakfast every morning, offer cookies in the afternoon, and wine reception in the evening. They are also around most of the day to answer your questions and help you find the best activities in Monterey. Cons: The less expensive rooms are quite small, so expect this when you book them. Also, the Wifi doesn't work great in all the rooms, but you can always head to the downstairs sitting area to check email or other things online. This very cozy inn offers 22 rooms. It's a great alternative to staying in a hotel, as you will get a more personal experience. The reason I like this place is that it is a great value for the money. It doesn't offer many amenities, but is clean, comfy, and centrally located. Pros: Each morning, you can enjoy a buffet style breakfast with other guests. The location is also ideal—right in downtown (across from the Marriott), about four blocks to Old Fisherman's Wharf, and just under a mile to Cannery Row. Cons: The rooms are small with few amenities. The breakfast room is also small, so you might need to wait for a table at breakfast. 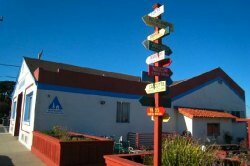 If you are looking for the ultimate cheap place to stay, then check out this hostel in Monterey. This hostel offers private rooms, dorm beds, and group dorms. It's just three blocks to the beach, the Monterey Aquarium, and Cannery Row—an excellent location for the cheapest accommodation in town. Pros: This hostel offers a very comfy and friendly environment. The shared bathrooms are not co-ed and offer single stalls for privacy. All of the rooms are clean and welcome guests upon arrival. The nightly rate includes a pancake breakfast, free parking, and free internet. You can also use the kitchen to make your own meals, which will help you save even more. Cons: As with all hostels, you may be sharing a dorm with up to 15 other people. You will be limited in privacy, but the low cost more than makes up for that. 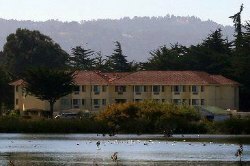 Another alternative to the standard Monterey accommodations is to rent a house or an apartment from a local. While in the past it was a difficult process to find and contact landlords, TripAdvisor now makes this easy. They currently list more than a dozen places in Monterey (and almost 400 including the surrounding areas) that you can rent. On TripAdvisor, you can see reviews from past guests and get a sense for the experience. You can find current openings on the calendars on TripAdvisor. During the booking process and after, you will then work directly with the landlord on all details. 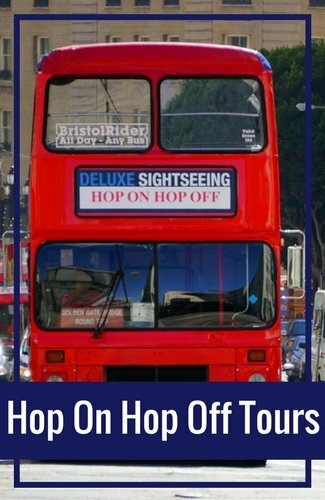 If you are traveling with a large group or looking for an experience that is more like being at home, then this is a great alternative. 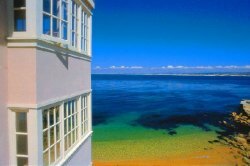 Find the best vacation rentals, including what other travelers have to say about their recent stays at apartments and homes in Monterey, on TripAdvisor.